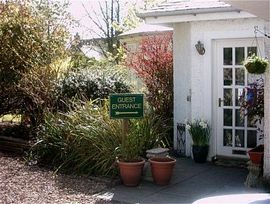 Riverside Holiday Cottage also available to rent . 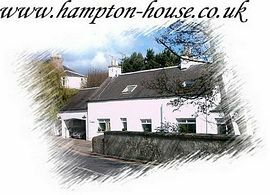 Hampton House is an old mill house dating back to 1850, located in the picturesque "East Neuk" of Fife, just off the Fife Coastal Path. Hampton House is the perfect setting for exploring the treasures of the Kingdom of Fife or as an overnight stop on a touring or walking holiday. The family run business offers evocative surroundings in extreme comfort and is also the perfect place for a spring or summer short break. The Kingdom of Fife has many attractions to visitors. Traditionally the home of golf, there are over 40 courses all within a short drive. Lundin Links has two golf courses, the championship one at Lundin Golf Club and the excellent nine hole Lundin Ladies Golf Course. 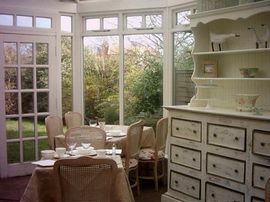 Both being just a few minutes unspoiled walk from Hampton House. Fife is also the birthplace of Robinson Crusoe and home to Dunfermline, the ancient capital of Scotland. 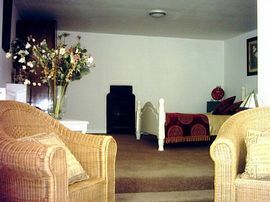 Suite: (ensuite with sitting room) £35.00 pppn.